Looking out of the window at the snow falling has me dreaming of sunnier climes and the need for some adventure… in the sun! This time of year is perfect for planning your travel itinerary for the year, whether you are looking at short breaks away in the sun or a full on backpacking experience of a lifetime. I am a huge fan of Instagram and love to drool over fabulous travel pictures taken in places I have never heard of, that are quickly being added to my travel bucket list. 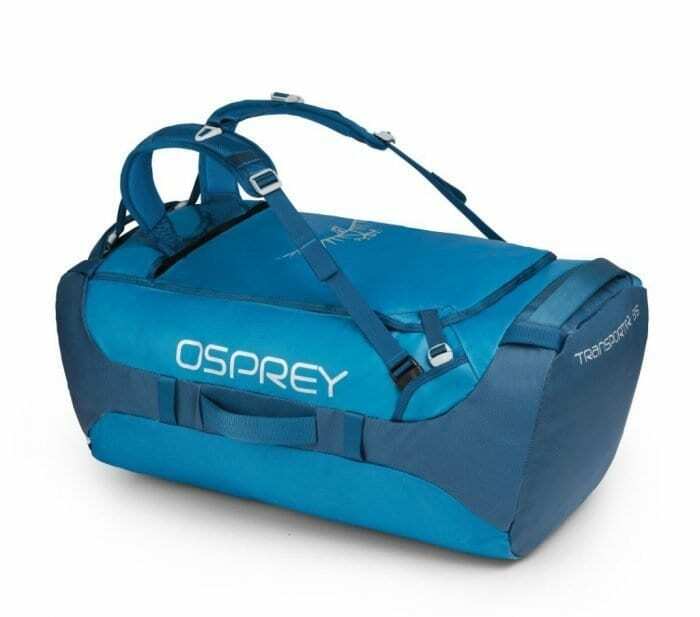 Working with Osprey to bring you this awesome giveaway to win a gorgeous Transporter 95L from their travel range, I became aware of the #OspreyAdventureProof campaign. Following 12 Osprey adventurers, the Adventure Proof travellers have been split into 4 teams to explore the world, covering at least 35 countries, each with a 95L Transporter duffel to put to the test. Every couple of months a new team member shares their jealousy inducing journey – you can follow the Osprey Adventure Proof teams which details where they are and what they have experienced, alongside how the Transporter 95L duffel is faring or check out the fabulous images over on Instagram. What makes the Transporter 95L the perfect travel companion? Available in a range of colours, the Transporter 95L is very easy to spot on an airport carousel! Made from durable and highly water resistant fabric (800D Nylon), the duffel is hard wearing and is designed to withstand the rigours of travelling and adventure. Featuring 4 grab handles, internal mesh pockets, lockable zippers and and ID card holder, the Transporter duffel has you covered with keeping items separate. The 95L refers to the size of the bag, offering a whopping 95 litres of space for your travelling items. The dimensions of the bag are (in cms): 69(l) x 37(w) x 34(d). You can check out further details about the Transporter 95L here. For the chance to win your very own Osprey Transporter 95L duffel (RRP £130), simply enter by using the Gleam entry form below. The giveaway is open to entrants in Europe only. Giveaway ends at midnight on Sunday 25th February 2018. The winner will receive 1 X Osprey Transporter 95L duffel. Open to entrants in Europe only. 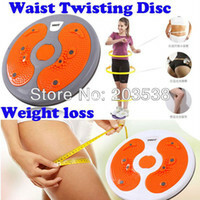 Disclaimer: This post features affiliate adverts. USA – huge range of climates and terrains and the food……..! I’d love to visit Australia as I’d love to see some koalas and kangaroos and explore the Australian outback! We would LOVE to travel to Central America – specifically Guatemala or Costa Rica. Full or rich wildlife! I would love to explore Peru as it has been on my bucket list for a long time. Would love to go to Australia! If I could travel first class, haha. It would have to be New Zealand because people tell me it is like Scotland on steriods and i cant imagine how beautiful it must be! I would love to Chile and Antartica to boost my knowledge of Chile and to see the magnificent scenery and wildlife of Antartica. I would love to explore New Zealand my sister has visited and the photos look amazing. Australia, done quite a bit of the country (my family live in Australia) the best so far was a sea plane journey to Fraser Island and sleeping out in a log cabin, also loved going deep sea fishing off the the Great Barrier Reef. I want to drive up the East coast in a camper van next singing my heart out to 70’s pop tunes. I would love to travel to America to try all types of food! New Zealand. It just looks so utterly beautiful on TV. Cuba as it sounds a fascinating place! New Zealand. I’ve always wanted to go there, even before the LOTR films came out. Its one of those places that still seems unspoiled. And vast. China as there are so many amazing iconic things to see. The United Kingdom including all the small islands, because I don’t know enough about my homeland. I also love the U.K. and think it’s very diverse. I would love to go to america and trek around the grand canyon. Trans Siberian railway! Would love to watch the passing landscapes! Australia – I would like to explore (overland where possible) from Australia upto Japan as one journey. Iceland I’m lucky enough to be going this year!! Finland – Loved the Moomins as a child and always wanted to visit. I would explore new Zealand as I’ve heard it’s similar in beauty to Scotland and that’s where I am from. I would love to travel the whole of england as I want to learn more about the island I live on. I’d love to go to Iceland, hopefully see the northern lights. I’d stay here in Ireland and hike all 5 national parks! I’d love to visit Canada. My husband went there in his teens and the photos of the scenery look amazing! I’d love to explore new zealand because the scenary is stunning from all the photos I’ve seen and they’ve got such a variety of wildlife! A winter holiday adventure in Swedish Lapland where I would combine a stay at the Treehotel with a night in a remote wilderness cabin deep inside the Arctic Circle. And a husky-pulled sledge ride through the spectacular winter landscape spotting wildlife along the way, cross-country skiing, snow-shoeing and watching the Northern Lights from an outdoor hot-tub. I’ve always fancied Russia as it’s such a vast country we really know very little about apart from the odd documentary or major cities. I’d love to travel around Japan. The culture is so different to here and I like how polite everyone is. I was really lucky to go to Australia when I was 10 years old on a family holiday. I’d love to go back to explore Queensland, perhaps a motorhome road trip, as I feel I could now appreciate it more and cope with the plane journey better! My travel companion, my smartphone and the Osprey bag. Perfect. Canada. It looks so beautiful, clean and full of culture with lots of contrast from wide open spaces to fabulous cities. And the people seem lovely too. Scotland..I’d take my baby Harris around the NC500 to see hills, beaches, lochs, wildlife, amazing scenery, food and people. He’d get to see more of Scotland than I ever did at that age! Sardinia, read about it, the weather is good and the food delicious! I would like to explore Canada because of the wildlife and clean air. I would love to explore Peru (then Brazil, Columbia, Mexico and other South American countries) to see the ruins of ancient civilisations, the monuments, pyramids, blue holes, museums etc. I’ve always been interested in the history of these (and other) places and remain fascinated by the achievements of these ancient peoples, so would love to stand where they stood, see what they saw and really feel that history. New Zealand – it’s calling to me! I would like to go back to the Himalayan kingdom of Bhutan (near Nepal), with my twin boys this time. The scenery is stunning, and there is much to learn about Buddhist culture there. The hiking and bird watching are superb. It’s Italy for me, so much to see in a country with a great heritage. Croatia, its a short flight away, but so beautiful with Islands, coastline and lakes to explore. At the moment China is high on my bucket list, so this is where I would visit. I’d like to explore Brazil because it’s so exotic and it has the amazing Amazon rainforest. I would love to travel across America, and hike around the Grand Canyon. I would go to Zimbabwe, Victoria Falls to see the magic of them as the water falls and makes many rainbows. Plus all the wonderful African animals. id love to visit and explore Australia… it just looks to be such a beautiful country with so much to see! probably Canada, went a few years ago only scratched the surface! used the train as so easy and cheap too! Mongolia. It just seems so beautiful. I would love to travel to America and visit the Grand Canyon as it always looks so spectacular. Costa Rica – what an amazing country! I would explore Canada. My husband is Canadian, and his parents still live there. It is a truly beautiful country. I would explore the rural areas of mainland Greece. I love Greece but have mainly seen only touristy areas. Off the beaten track would be my plan. Romania. Always wanted to visit Bran Castle! China as my parents are from there, but moved to Hong Kong and then to the UK. I was born here and apart from a very short holiday when I was 10 I’ve never been. I’d explore Thailand first as I’ve always wanted to adventure round there, but hopefully one day I’ll travel the world. Exploring new places is great. it would be Portugal because its where my wife comes from.Although I have visited 3 times I am still amazed and inquisitive to explore and see the rest of this beautiful country. I have always been drawn towards Italy, Its one of the places that i havent ever visited, I have it down as a must do soon ! I most enjoy adventures in places most other people don’t visit like Pitcairn Island, Paraguay and Papua New Guinea to name a few. I would love to travel around Japan- it’s been a dream of mine to go and explore many cities there. I’d love to take this to Sri Lanka with me. we had a lovely holiday watching Elephants at the orphanage and it would be amazing to do it all again.! Thank you. I’d love to explore the USA as there is such huge variation in the different states, almost like they are all individual countries. I’m fascinated by the place…. Definatly South Korea, for the culture and the food. I really can’t decided between Italy and Canada! The jungles of Papa New Guinea. Such a mysterious place, almost primal. We love to go to the USa on a Cunard Liner like the QE11 or Qm2 which we have taken many times. Japan! This has always been the destination I would love to explore, I love the culture behind all the hustle and bustle! South Island, New Zealand; very jealous of friends who have visited and you can tell it has changed them for the better. I hear the people are amazing and the scenery is just as diverse as you will get anywhere on our green and blue planet! I would visit Brazil first! I’ve always had an interest in the colourful culture there and would love to visit Carnival! Australia because it is so vast and wild. I’d love to explore Canada, it’s been my dream since i was a child, it looks amazing and would really love to live out there. There are so many places in the world I would love to discover. Australia is top of the list – it’s so vast and to see all of it would be fantastic. Canada. So big and diverse. I want to see a bear catch a salmon. There are so many places, but Korcula in Croatia is somewhere that I really want to go to, called in there briefly a year or two ago for a day trip and loved it so much so I have to return. Canada – some amazing wilderness areas. Ireland; beautiful countryside, and I have ancestors from there. I would go to Yellowstone Park America, Nature at its best! I’d love to go to the Galapagos Islands and see the Giant Tortoises in their natural habitat. I would love to go to Iceland to see the Northern Lights, it looks amazing! I would like to travel thorough China. Lots of diverse terrain and cultures. Planning a trip to Vietnam and Cambodia. Having missed out on gap years (they didn’t exist when we were young) we are determined to explore and travel at the other end of our life – I reckon we’ve got fifteen good years left! Would love to take our daughter to Italy, especially along the Amalfi coast. Norway, because I’ve never seen the northern lights. Vietnam; I’ve always wanted to go there. Brazil! I really want to walk up and see Christ de Redeemer! Japan. I’ve been 5 times already, but always to visit family with my mum. Now I would like to take my own family and do the tourist thing and explore in a way I haven’t before. I’d love to explore India, everything from the architecture, culture, spice farms, fabric markets. would love to explore vancouver, canada – Because have visited a few times before but never got to fully explore the place – haven’t yet been to vancouver island and that is supposed to be stunning. USA as I would love to do a road trip and experience all of the different states! Australia with my husband, I would so love to go. I’d love to go to Costa Rica as the range on scenery and wildlife really appeals to me! I would exploreIceland as I would love to see the Northern lights and soak in hot pools in the snow. Canada because it looks amazing and is so vast I could be travelling forever. australia – to visit my friend!! I’d love to go back to South Africa on safari, I did 4 days at a private reserve and fell in love with the place, I would love to go for much longer and more wild! Thailand, the people are so friendly and the scenery is beyond spectacular. Have always wanted to visit the Galapagos Islands… money no object, that’s where I’d start. I have always wanted to go to Norway to see the Northern lights. My Dad was born in Chicago, spent his early years in Milwaukee and his teens in LA nd San Francisco. I want to explore where he came from. Having visited South Korea last year, i’m awfully jealous of all those who are in attendance at the Winter Olympics. I’ve been to Korea and Japan, China is next on my Asian adventure list. The food, the culture, looks amazing. Maldives – would love to explore the underwater life! I would love to explore New Zealand – it seems like a magical place. I’ve always wanted to go to Yosemite! I’ve just come back from Belize and now it is New Zealand I want to visit, can’t wait but have to save up! Nicaragua because it’s always fascinated me. Iceland as I would like to see the natural wonders and hopefully the Northern Lights. Peru. They have the best ancient ruins there and South America is where I want to be. I’d explore New Zealand as I never got there on my year travelling. I want to walk the Appalachian Trail so I would visit the USA! China! I would visit the great wall and the terracotta army. I would also indulge my Chinese food addiction! I would love to explore New Zealand and certain parts of Europe, especially Sweden, Norway and Denmark. New Zealand, the landscape just looks like a breathe taking place to explore. New Zealand. I’ve wanted to go there since I saw it on Wish You Were Here when I was 15, back in the 80s! I’d go back to Macedonia because that was where I was first deployed to in the Army and it was beautiful so it’d be amazing to go back and not be there in such desperate times dealing with hoardes of Syrian refugees! Amazon rain forest would be amazing! I’d use it for the european road trip we’re planning next year. France, Spain, Belgium, Italy… in fact, how much Belgian chocolate do you reckon it would hold? I would love to travel around Scotland. Croatia – I’ve been twice and it has the most beautiful landscape, amazing islands and the friendliest people. I’d start with Norway as i have never been, but to be honest anywhere in Scandinavia would suit me. Cyprus – my other half was stationed there for many years and had a wonderful time. Plus i nee somewhere I take the kids! I would love to explore Japan, I love all the mystery and culture. I’d like to explore the Scottish islands because each one is different. Canada – because the wildlife there is incredible! USA. Would love to do a large amount of caving . I’d travel to Vietnam first; it’s an up and coming destination with beautiful people, the beaches are amazing and lots of festivals including the must do Tet Trung Thu, a lantern festival in September, perfect for children an families. Vietnam is also still very affordable, I’d love to go while prices are still low and affordable for me and my family, it’s definitely a must do. Tahiti as it looks like paradise! I would love to drive across America taking in a lot of the spectacular national parks.